We are celebrating the 41st year of the Portage Lakes Antique & Classic Boat Show; one of the longest running shows in the U.S. Located at the On Tap at the Harbor restaurant, an excellent venue for displaying 50+ boats in the water and more on land, while good food and drinks are served right next to the boats. This show is sponsored by the Antique & Classic Boat Society, North Coast Ohio Chapter and the Portage Lakes Historical Society. 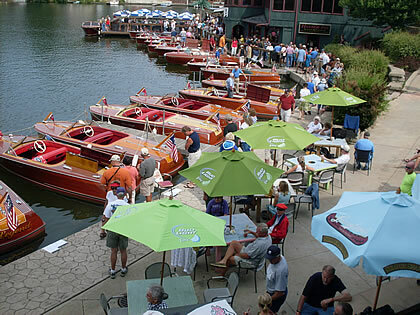 The show always boasts beautifully restored wood and fiberglass boats at least 25 years or older from the golden age of boat design and the growth of recreation on the waterways. 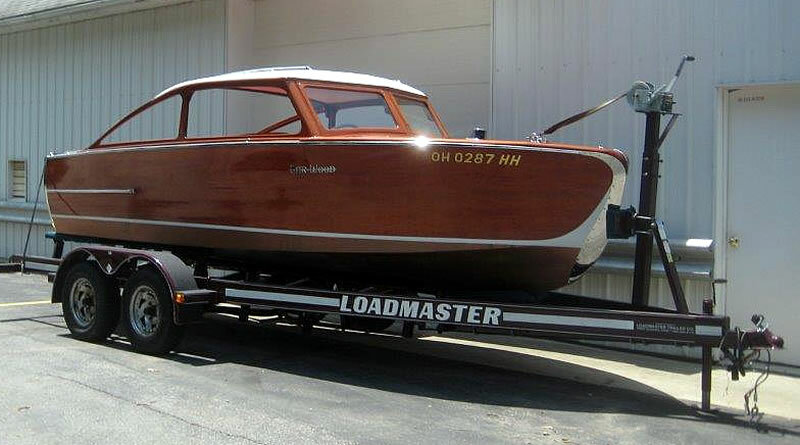 One such boat will be a very rare 18’ 1947 Gar Wood Sedan restored over 10 years by Les Demaline of Avon, Ohio. The boat will be displayed in the water for the first time in decades along with local boats and some from as far away as Pennsylvania and Virginia, which have won many awards throughout the country. The awards banquet will be at the historical Turkeyfoot Island Club which has docking for 16 boats and dinner space for 100 guests. On Friday evening there will be a cocktail party for show participants at one of our members’ beautiful lakefront homes. The Portage Lakes are easy to navigate with many interesting homes, inlets, 2 modern launch ramps, and fuel docks on the water. The Island Club does have a limited number of very nice overnight rooms and there are many nearby hotels a couple miles from the show site. Show participants may obtain registration forms on the North Coast Ohio chapter website (http://northcoastohio.org) and can contact the show chairman, Gil Maringer, at 216-310-7475 for more info. Launching and retrieval assistance, along with trailer storage will be provided. Each show entrant will also receive a special wood framed poster as a gift for attending and will be eligible for many classification awards presented at the awards banquet. The show time is 9:00 am till 3:00 pm with the awards banquet at 5:30. Make plans to attend this special weekend at the Portage Lakes. Pictures from the Antique & Classic Boat Shows…. Both of these fine restaurants are donating all available dock space to accommodate up to 55 boats, making this one of the largest boat shows of its kind in Ohio. 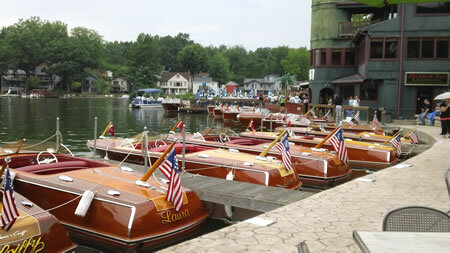 Last year’s show featured boats from Ohio, Virginia, Pennsylvania and Indiana. Awards went to over 20 of these great classic boats, including two awards sanctioned by national organizations. What began as a 4th of July Boat Parade 39 years ago has grown into a nationally recognized event with out-of-state attendees. Past events have seen an estimated crowd of over 5,000 spectators enjoy this single day show. 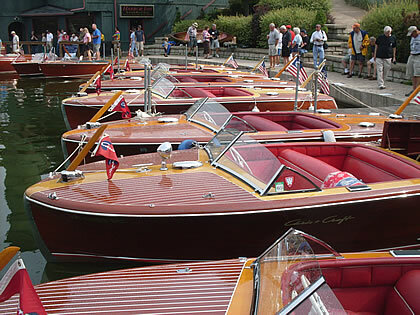 While most of the boats are of wood construction and come from the 1950’s and 60’s, there were several models from the 1920’s, `30’s and `40’s as well. Another class growing in popularity is the Fiber-Classic’s or Fiberglass constructed boats. There were boats from this category from the 1970’s in attendance as well. Of special note is the revolving trophy dedicated to the memory of Ned Mohrman, a legend in Portage Lakes boating history. Ned was responsible for the formation of several boating organizations, racing events, was a marina owner and friend of everyone who met him. A “lakes” historian in his own right, Ned would spin stories for hours of escapades on the lakes. This award in his memory is presented on behalf of the Portage Lakes Historical Society to the best boat from Portage Lakes. 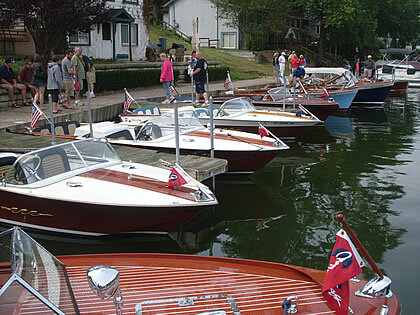 Most of the boats make up a cross section of the boating population many of us grew up with on the Portage Lakes; Chris Craft’s, Lyman’s, Century’s and outboards of several manufacturers. Canoes and sailboats are also welcomed in the show with award categories of their own. 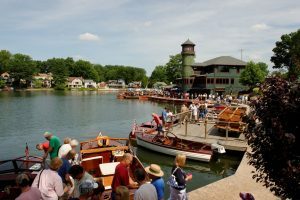 If you want to relive the days of watching great classic boats cruise the waters of Portage Lakes or just enjoy looking at wonderfully restored and preserved water craft, come to the boat show on June 25th. You will not be disappointed.